Although the picture looks white, it is acually an ivory color. 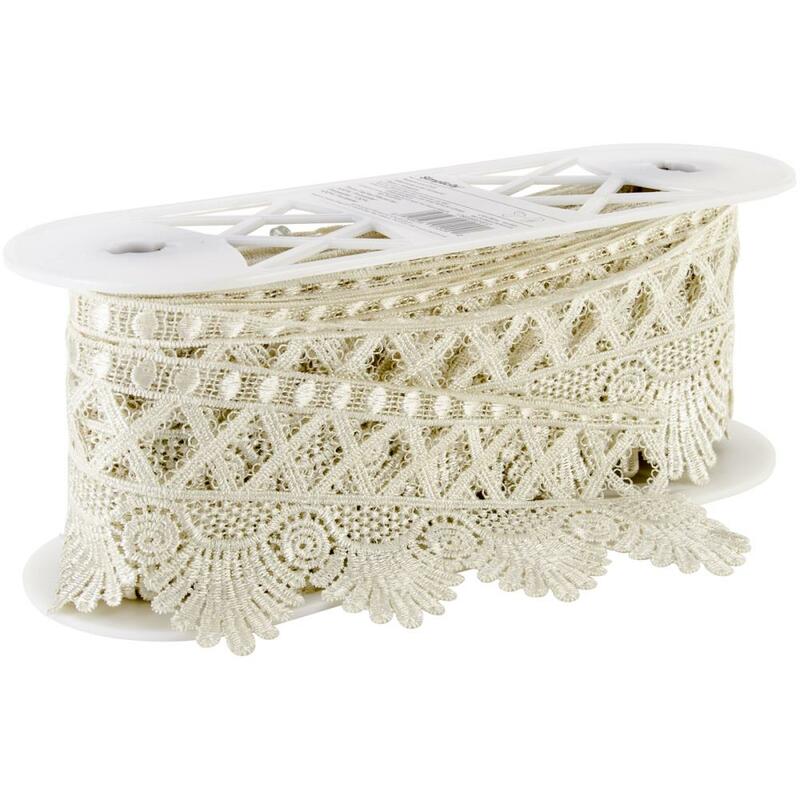 The perfect item for your craft projects! 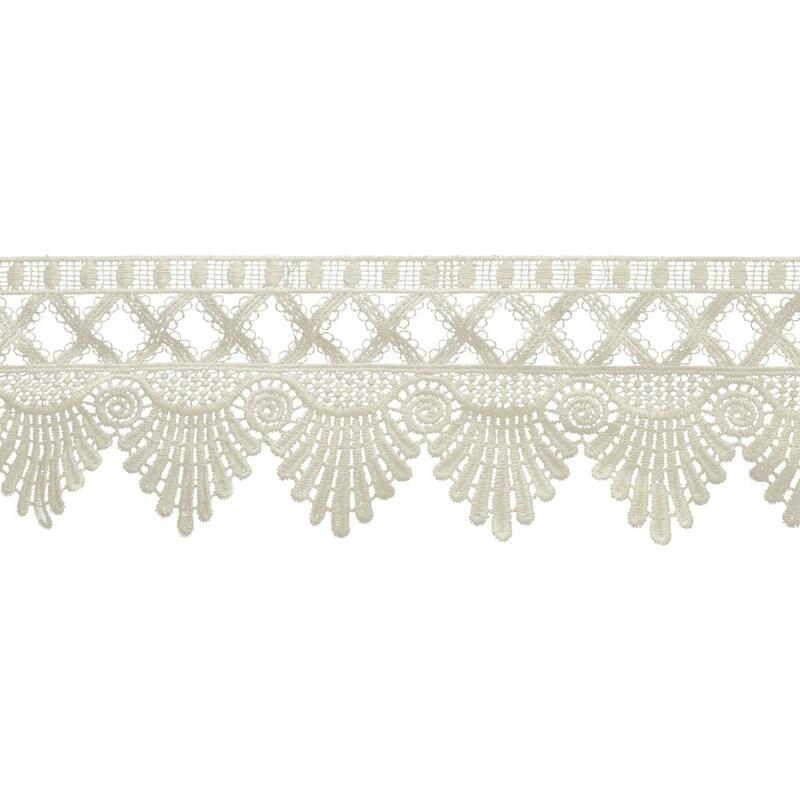 With the many different patterns in the width, you can get more lace for your dollar. This is great for cards, scrapbook pages and altered art. Sold by the yard.